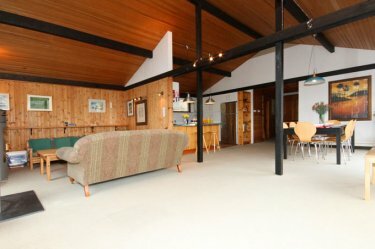 Chy-an-Nans Beach House is one of Newquay's most unique, prestigious, self-catering holiday properties � boasting FIVE bedrooms � enough to sleep 12 people! 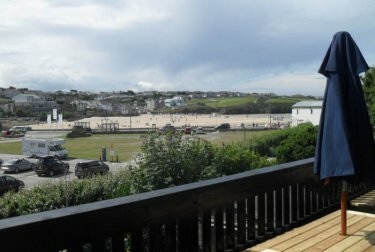 It overlooks the stunning, family-friendly Porth beach and is just a twenty minute scenic stroll along the cliff path to Newquay's vibrant town centre, stunning beaches and great bars and restaraunts. Chy-an-Nans is a large detached house complimented by full-frontal glass doors which maximise the unique coastal views. It has a spectacular open-plan living area and full-length balcony with amazing panoramic views over the beach. The property also boasts FIVE spacious bedrooms and a children's games room with snooker table. It's packed with homely features which make this large, family property the perfect getaway � set in a stunning location it offers the chance to get together and enjoy the best that Cornwall has to offer. Porth beach itself is a tranquil haven for those discerning visitors seeking a quiet family-friendly beach with lifeguard-supervised bathing (in the high season) and traditional beach-side enjoyment with rock pools to explore and streams to dam. For the more adventurous, only minutes away are the world renowned surfing beaches of Whipsiderry and Watergate Bay, internationally recognised for not only its extreme sports but also Jamie Oliver's Fifteen restaurant. A short drive up the coast towards Padstow is the area patronised by celebrities who truly appreciate what a traditional Cornish seaside holiday can offer. The ground floor comprises of a family bedroom with a double bed and two singles. This room also has the luxury of a small working kitchen. 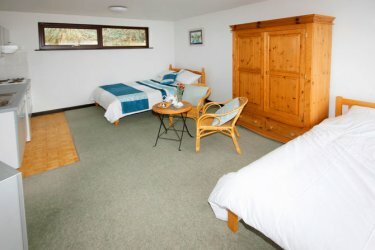 There's also a double bedroom, bathroom and games room. 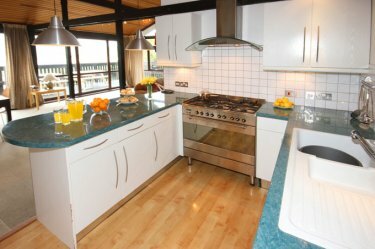 The upstairs comprises of open plan living, dining and kitchen area with log burner, three bedrooms and a bathroom with shower cubicle. The open plan living area leads out onto a large, wrap-around front balcony with seating and panoramic beach views, an ideal spot to gaze upon the rolling Atlantic ocean over Porth, and in the evening watch the sunset light up the sky as you relax with a glass of wine.